The latest report on purchase applications for new homes produced a pearl-clutching moment for some market watchers. The MBA’s Builder Applications Survey for April 2017 showed new-home purchase applications dropped 4.3% compared with April 2016. Worse yet, applications were down 20% month over month. Could the bull-market run for new homes be approaching the finish line? If we dig a little deeper into the data, it appears unlikely. An exceptionally strong showing in March likely pulled forward demand from April. When the two months are combined and averaged, it looks decidedly less onerous. Year to date, mortgage applications for new homes are still up 3%. What’s more, the people with the most penetrating insight into the new-home market are hardly gasping. 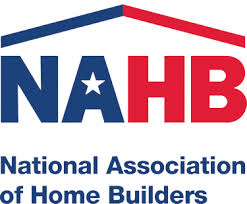 Homebuilder optimism continues to hold at a high level. Indeed, the latest homebuilder sentiment index topped expectations, rising two points to 70, in May. Optimism for future sales was exceptionally strong: The component for the six-month sales outlook was up four points to a giddy 79. Homebuilders expect to sell a lot of homes this year. A quick glance at the starts data could lead a market observer to believe that homebuilders are unrealistically optimistic. Housing starts have plateaued in recent months; they were even down in April, dropping 2.6% to 1.172 million starts on an annualized rate. But if we delve deeper, we find the shortfall is related to the less important multi-family component, which dropped 9.2% month over month. The more important component, single-family starts, was up 0.4% to 835,000 on an annualized rate. At the rate of reported in April, starts continue to lag the historical annual average of 1.5 million. What’s more, homebuilders are unlikely to approach the historical average in the near future. The demand is there, but homebuilders are constrained by a shortage of qualified labor and rising material costs (much of the costs are related to lumber, which is why the tariff on Canadian lumber is such a bad idea). Mortgage activity bodes well for future sales — new and existing. Purchase activity has been strong for most of 2017. The latest MBA data on purchase applications show purchases down 3% week over week, but still up 9% year over year. Purchase activity hasn’t been this strong in nearly a decade. Many sectors of the economy continue to struggle since the last recession ended in 2009. Housing is the one sector that has continually maintained an upward trajectory. Recent housing data show nothing to suggest the trajectory is likely to change this year, and possibly not for many years after. Important. Homebuilder optimism and rising demand point to rising new-home sales through the summer months. Important. Existing-home sales have held steady at 5.5 million on an annualized rate for most of the year, though momentum appears to be building for an upside breakout. 1.0% (Annualized Growth) Important. First-quarter growth was sluggish. Market watchers will be looking for signs of more growth for the second quarter. Many times throughout this year we’ve visited the idea of a range-bound mortgage market, with the range on a prime conventional 30-year fixed-rate loan holding between 4% and 4.25%. In recent weeks, the range has tightened to 4% to 4.125%, with 4.125% being the most prevalent quote (at least as a national average). We expect the range to persist. The geopolitical events of the day have had little influence on interest rates. Yes, North Korea continues to lob the occasional missile into the Sea of Japan, but does that really keep anyone awake? The French election has been decided; Brexit is hardly mentioned any more. In our own backyard, the political “crisis” du jour — the FBI chief firing and Trump’s relationship with Putin — means something to political junkies and strident opponents of the administration, but it means little to most everyone else. Languid price action in U.S. Treasury securities shows no rush toward haven investments. There is a tired limerick related to the stock market that says “Sell in May and go away.” The limerick reflects the sentiment that little tends to happen during the summer months. The same is frequently true for other financial markets. Of course, the risk is omnipresent that the market could get hit with an outlier event. But given the events and outlook at the moment, we see little in the way of increased interest-rate — and mortgage-rate — volatility. In other words, the range remains the same, and it will likely remain the same for the near future.